I founded the Unified International Taekwon-Do Federation to honor and preserve the legacy of Taekwon-Do’s founder, General Choi Hong Hi. Our members have devoted themselves to this cause and have provided outstanding Taekwon-Do leadership to the world. The members of Unified deserve to be honored with a unique symbol for their extraordinary efforts. This past August, during the opening ceremony of the World Championship, I proudly announced that, moving forward, our organization will be named “Unified Taekwon-Do” and unveiled our new logo. Unified Taekwon-Do will provide resources and services to ensure that Taekwon-Do is preserved for future generations. Seminars, courses, certifications, tournaments and additional events, will be available through memberships as individuals, schools or associations. The status of current Unified ITF members will continue to be honored under Unified Taekwon-Do. The transition to Unified Taekwon-Do will require some time and patience, but I am very excited about our future, and I hope that you share in my optimism. 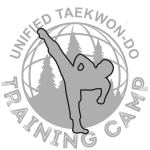 Additional information will be available soon on our new website, www.UnifiedTaekwonDo.com.